Kathleen was inspired by some wampa cupcakes by Sugar Swings and made her cake from red velvet (because of course), cream cheese frosting, and sweetened coconut. The teeth and horns are made from different kinds of frosting. The blood is optional, but come on, you have to include it. 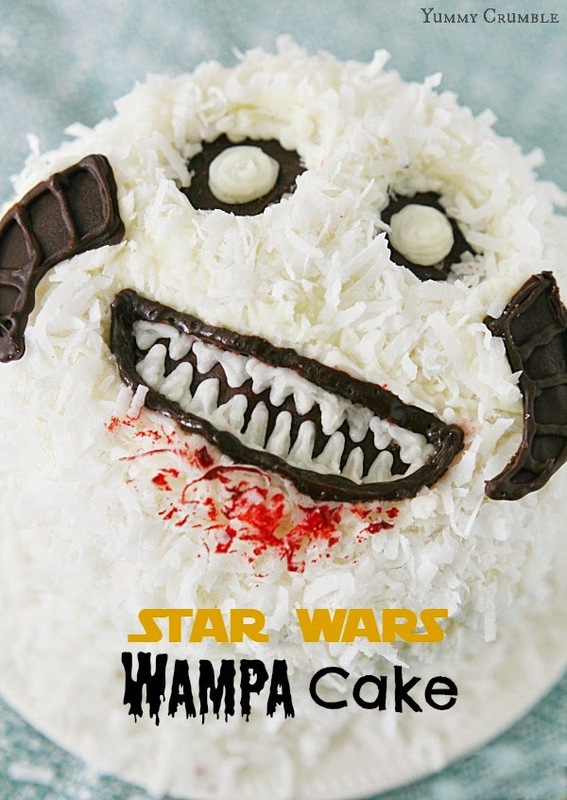 You could use red gel food coloring or strawberry glaze to achieve the "just fed" wampa look. Pretend he snacked on anything but a cute yet smelly tauntaun. Recipe and instructions at Yummy Crumbles. Thanks for sending the link my way, Kathleen!